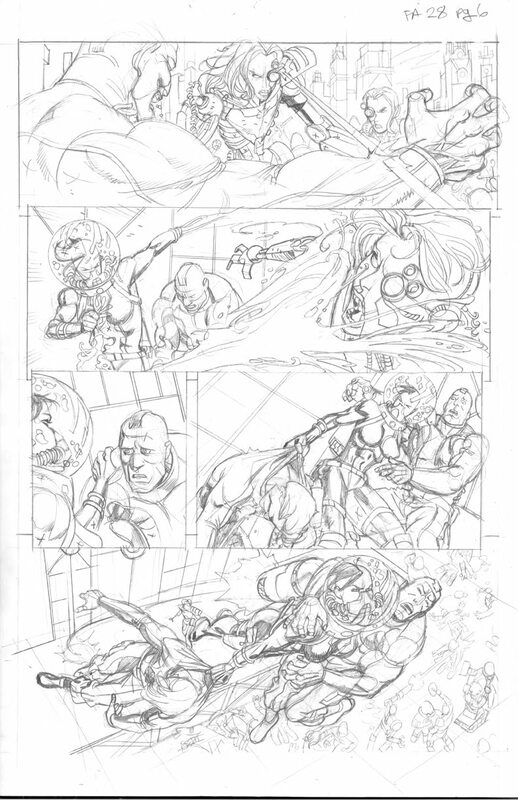 Newsarama.com has a great interview with Fear Agent writer Rick Remender about the last arc of this beloved series. Check it out here. I especially liked this bit Rick had to say, "It’s also nice working with the guys you came up in the industry with. It’s something that is very Band of Brothers-ish, if you were in the nerd trenches making comics instead of fighting for the future of the free world. Coming from the indie stables with your boys and making good is a terrific feeling." 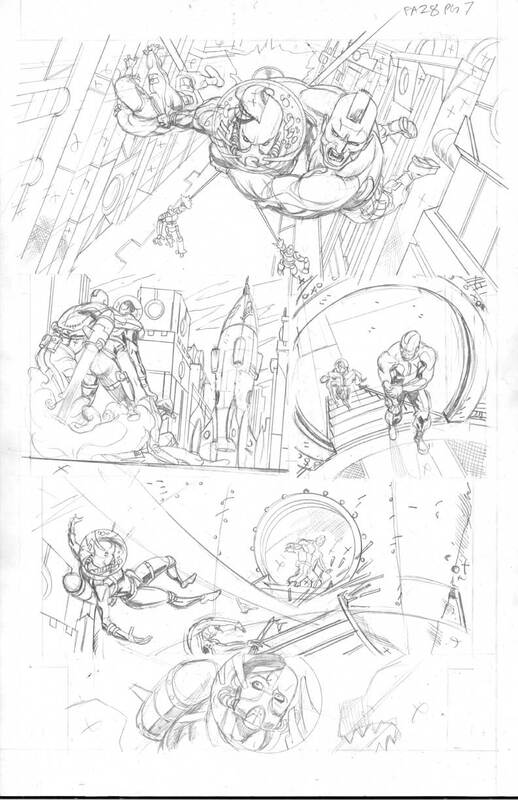 Some of the pages they're showing I've previewed here before, but I believe some are new. 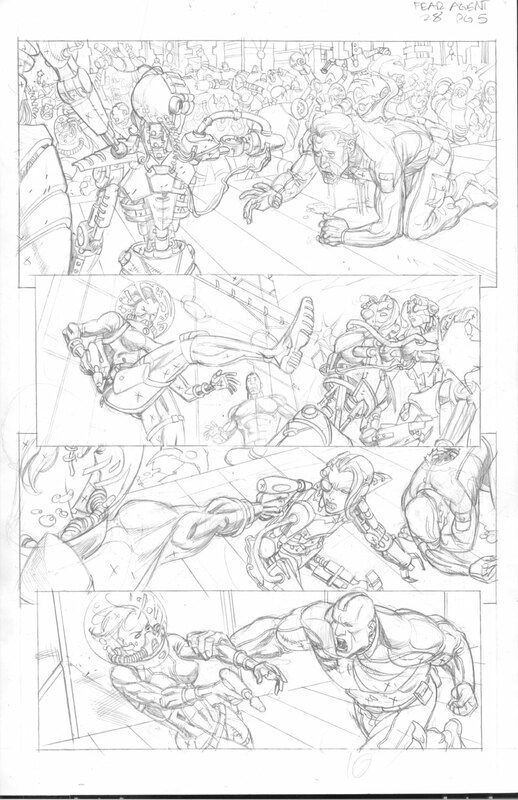 So I'm going to show the pencils below, for anyone who's interested. I love the energy in your work, Mike! Thank you so much for sharing your pencils. First page, panel one: that background is madness, geesh. You're insane. Third page, panel one, perspective is pretty darn tight. Yes, I'm a nerd when I look at that stuff. Love it when artists play around with camera angles, tilt shots, use great one/two point perspective shots.